Ahoy! This week in the Indie Basement: great indiepop label Slumberland Records is celebrating its 30th anniversary with a subscription singles club; an essential Fall compilation is getting its first-ever U.S. vinyl release; The Brian Jonestown Massacre continue their hot streak; San Francisco DIY pop great Kelley Stoltz is back with a new LP; and Warm Drag (members of Oh Sees / Golden Triangle / K-holes) get weird. Slumberland Records has been releasing awesome indie rock/pop for almost three decades, including classics from Black Tambourine, Aislers Set, Lorelei, Lilys, Henry’s Dress, Crystal Stilts, The Pains of Being Pure at Heart, Boyracer, and tons more. 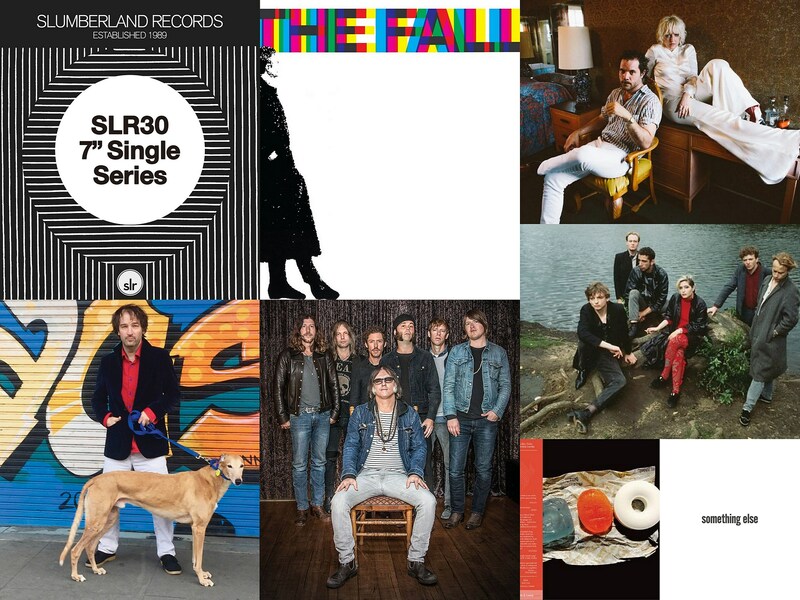 The label will celebrate its 30th anniversary in 2019 and in celebration, they’re launching the SLR30 Singles Series, a subscription club where you’ll get a pair of exclusive 7″ singles mailed to you every three months throughout the year. All of the singles will be subject to one pressing only, on colored vinyl, in quantities Slumberland are calling “very limited.” Artists contributing to SLR30 include Wildhoney, Pale Lights, Lake Ruth, Odd Hope, Failed Flowers (w/ Anna Burch & Fred Thomas), Dolly Dream (w/ Meg from U.S. Girls & “members of a certain Toronto band”) and more TBA. The number of subscriptions Slumberland can fulfill will be limited to the pressing of the first two singles, so they can only take subscriptions for the full series for the next several weeks. There’s a few different shipping options that make it more affordable. Slumberland is also promising some other goodies in packages, so subscribe today. This essential comp of The Fall’s Brix-era singles gets its first-ever vinyl pressing in the U.S. Diving into the world of The Fall can be both wonderful and frightening, not to mention daunting for the uninitiated — what with 32 albums, non-LP singles, EPs, etc etc. There was a comprehensive singles collection released last year, but when someone asks me this (and people have) my mind always goes to 458489 A Sides, which collects all the singles The Fall released for Beggars Banquet between 1984-1989. These were “The Brix Years,” when the late Mark E Smith fell in love with an American — Brix — on tour and soon she was not only in the band but also Mark’s wife. Her natural ability to produce insanely catchy hooks and riffs radically changed the course of The Fall from indie darlings to indie darlings with chart hits. (In the UK, that is, where singles charts were based solely on sales.) The string of singles they produced during this era remain some of their best-ever: “Oh! Brother,” C.R.E.E.P.,” “Cruiser’s Creek,” “No Bulbs,” “Hit The North,” and “Big New Prinz” are unquestionable classics, and they released some great covers as singles during this era too: “Victorai” (The Kinks), “Theres A Ghost in My House” (R Dead Taylor), and “Mr. Pharmacist” (The Other Half). It’s a genuine essential. In the 10 years or so after the release of DiG!, Ondi Timmoner’s amazing, wildly entertaining look at the parallel careers of frenemies The Brian Jonestown Massacre and The Dandy Warhols, Anton Newcombe seemed a little lost at sea, musically, with BMJ records heavy on extended jams and light on hooks. (It didn’t help that the film had some people showing up just to see if the show would end in a fight.) But sometime around 2014’s Revelation, Newcombe found the plot again, and has led the current lineup of his band (which still includes crucial tambourine player Joel Gion) with fire and focus. The new Brian Jonestown Massacre, which Anton dropped a couple weeks ago, is titled Something Else and that it shares a name with one of The Kinks’ best LPs was not by accident. Not that the BJM crib much from the Davies brothers (who are patching things up) in particular, but he clearly loves UK flower-pop. After successful experiments with dub and electronics on last year’s Don’t Get Lost, he’s fully back to the Stones/VU vibes of Take it From the Man! and Give it Back. It’s nothing new, but few know how to dig this mine for gold like Newcombe and shine it up while keeping pleasingly rough edges intact. “Hold That Thought,” “Skin & Bones” and “Who Dreams of Cats?” are all classic-style BJM jams and there’s not a clunker among the nine songs. Something Else is out now on Anton’s A Recordings label. Anton says there’s a second Brian Jonestown Massacre album on the way this year, and tours too. Meanwhile did you see Anton cook dinner for the dearly departed Anthony Bourdain on the Berlin episode from this season of Parts Unknown? San Francisco DIY pop wunderkind Kelley Stoltz is back with a new album, titled Natural Causes, which is out now via Spanish label Banana & Louie. Kind of. The record hasn’t gotten much in the way of distribution — it’s not streaming yet — but they’re about to go wider with it. UPDATE: It’s actually out officially July 13 in Europe but U.S. folks can order here. While we wait for this to be available somewhere that won’t cost us an arm and a leg in international shipping, you can listen to first single “Static Electricity,” a psych/post-punk groover that’s heavier on the synths than some Stoltz fans may be used to (though he dabbled with that on last year’s great Que Aura). It sounds like it could’ve been the b-side to Dalek I’s “Dalek I Love You” and has a really badass organ solo. You can watch the video for “Static Electricity” below.